On May 21st, 2002 The UPKUDO International Karate Federation was assigned document number T12000000860 with the Florida Department of State Division of Corporations. 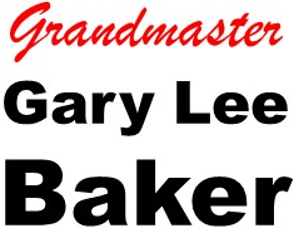 The trademark is held by Grandmaster Gary L. Baker. 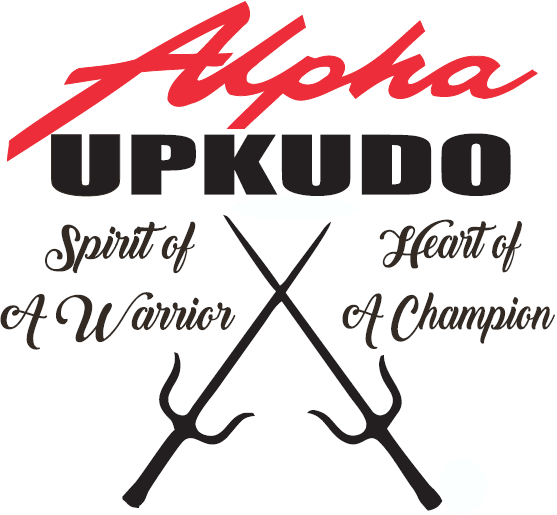 Alpha UPKUDO is a certified school in the UPKUDO International Karate Federation #99-01. Neither Black Lion or Gallop's Karate are associated with UPKUDO. Only the schools listed below are recognized as authorized UPKUDO schools. 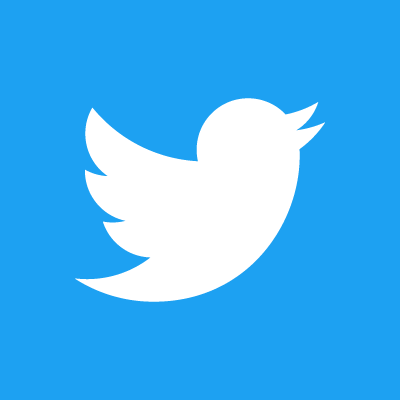 Click on a logo below to read more. The UPKUDO International Karate Federation was founded by 9th Dan Grand Master Gary L. Baker, fondly known to the fight world as the "Human Tornado". He is registered with The World Head of Family Sokeship Council #930724005. Grand Master Baker was inducted into the World Hall of Fame in 1993 and established as the Grand Master of the art of UPKUDO for his outstanding accomplishments as a competitor and instructor as well as his contribution to the Martial Arts world with his unique style. 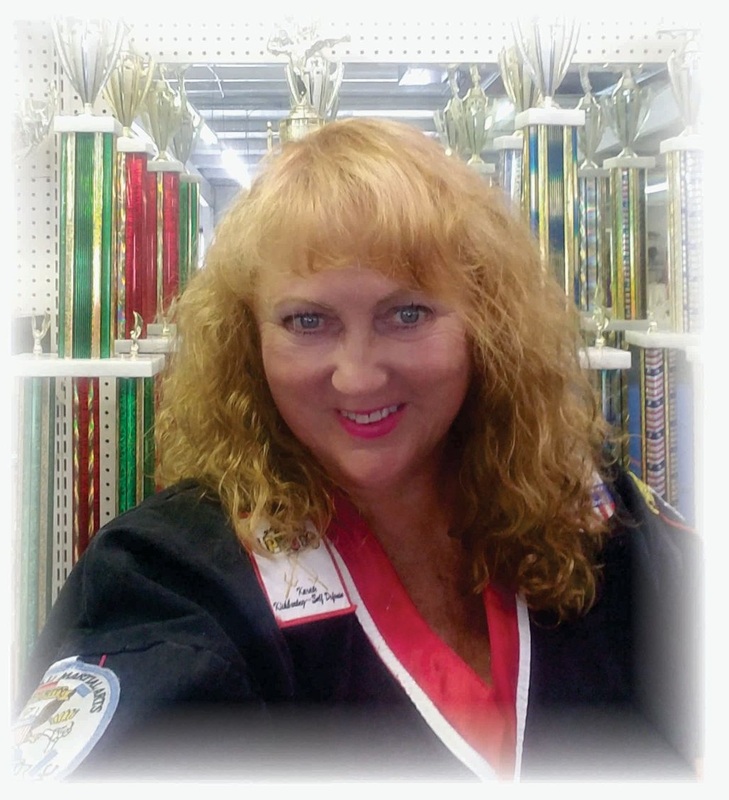 Several times a year, Grand Master Baker instructs karate seminars at Alpha UPKUDO. His seminars a focus mainly on point fighting strategy and technique. Grand Master's seminars are always a tremendous learning experience for everyone who attends. Grand Master's seminars usually last two hours, with an additional third hour for the high rank students, although Grand Master often extends the length of his seminars because of his love for teaching and his love for his students. Alpha UPKUDO Karate and Fitness was founded in 1999 in Tallahassee FL. The school has become the main office for the UPKUDO International Karate Federation which was started by Grand Master Gary Baker, the man who founded the style of UPKUDO. Over the years our competition team has won over 4,075 trophies in sparring, kata and weapons. Our students range from ages 4 up to adults. We have an on going philosophy that there is no age in UPKUDO. Once you start identifying yourself as a number you fall into the traps of either : not old enough or too old to do something. Therefore all UPKUDO students train with the positive mindset of " Love Always Wins" and "Positive In is Positive Out." Both these philosophies are Grand Master mottos he lives by and has taught them to me and I teach them to my students. But there is more to our style of karate than winning trophies. The power of UPKUDO comes from family and love. 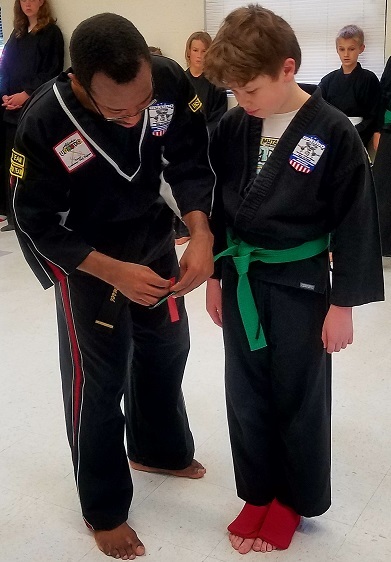 Loyalty means a lot to members of UPKUDO especially at Alpha.The school was created to not only honor Grand Master Baker but to have a place where traditional karate can flourish without getting caught into the debates of other styles. I am a Christian and while I do not preach in the classroom, the life values of honor, love, loyalty, and respect are taught to all those who attend. As a 6th Degree Master Instructor and student for over years with Grand Master, I have seen thousands come through the doors and still happy to say some who started with us still remain since the school was started. Those who have moved out of town or the country still remain loyal to UPKUDO. Once you are family -you are always family. My reward comes when a young adult comes up to me and says I remember when you taught me.....They are grown now but they still remember the lessons. Self Defense has always been my first love in karate. I teach personal safety seminars and stop bullying seminars to many people each year. A lot of people just want to know how to protect themselves and not really want to train in karate. Children need to know they have the right to stand up for themselves when being picked on but never to be rude or disrespectful to others. Life is so crazy, things get out of balance. It is in discovering your strengths , your weaknesses and how to balance your life, that happiness can take root. Another precious moment is when you see a student's eyes light up because they learn something about themselves. I never grow tired of hearing the little ones say "I love me" and the adults "I am happy with who I have become". Then I know they are truly discovering the way of UPKUDO. True traditional karate heals, not kills and preserves life. Alpha UPKUDO Karate, a journey of one in the martial arts way to discover life and how to enhance the lives of others. 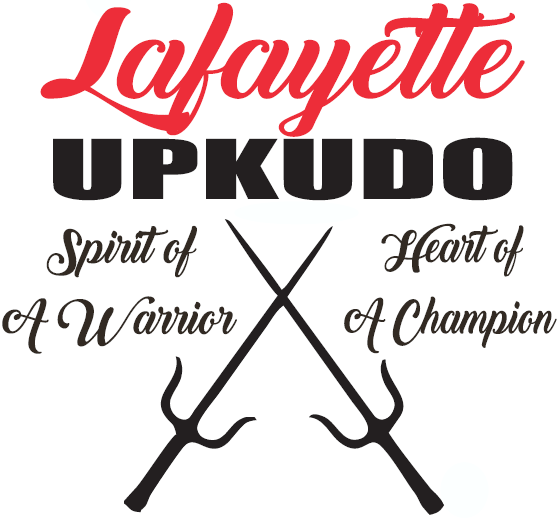 Lafayette UPKUDO is located in the Lafayette Community Center. 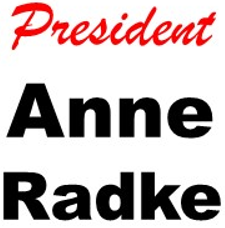 Classes started back in 1992 by Master Anne Radke but are currently being taught by Sensei Geremy Gerald since 2013. Students pay the Community Center for Dues but must purchase a uniform from Alpha UPKUDO. Each student is eligible to test for an additional fee and are allowed to participate in a tournament provided they have their own mouthguard, cup and supporter through Alpha UPKUDO and have purchased an UPKUDO Federation patch. The center buys sparring gear from Alpha when needed. Classes are held every Tuesday from 4:30-6:30 for ages 6 years to Adult. Located in the Lafayette Community Center at 501 Ingleside Avenue, Tallahassee FL 32301. For more information contact the Federation office at 850-514-4334 or email masteranne@upkudo.com . 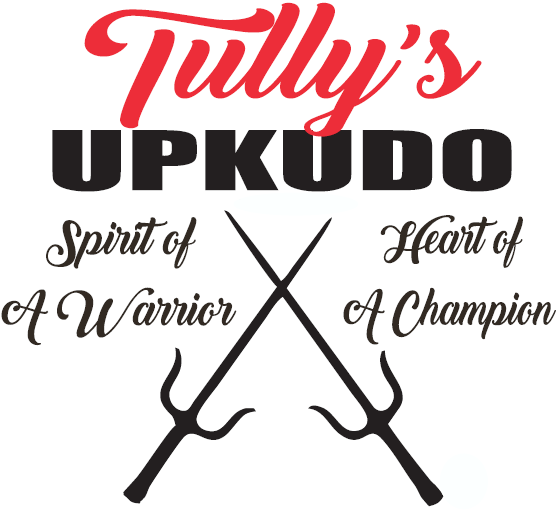 Tully's UPKUDO started in November/2001 by Renshi Debbie Tully. Mr. Will Blanton has assisted her over the years. 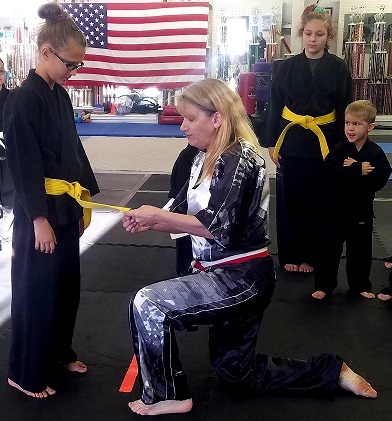 She has had two black belts since opening her school. Classes are still held Monday 6-8pm. Ages start as young as 4 years old. Uniforms and gear are purchase through the Federation office. Testing is available for additional fee. All students who wish to participate in the tournaments must have at least the Federation patch. Dues are paid directly to Renshi Debbie Tully. For more information call 850-556-2030 or 514-4334.